At Healthland, Dr. Fosu ensures focused on the quality patient care and counseling. 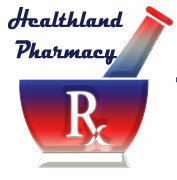 Dr. Kofi Fosu is the manager at Healthland Pharmacy located at 1979 Cleveland Avenue, Columbus Ohio. Dr. Kofi Fosu is also a certified HIV Specialist. He obtained his specialty from the American Academy of HIV medicine in Washington DC. Copyright © 2014-2016, Healthland Pharmacy, LLC. All Rights Reserved. Designed by touched be blessed Services, Inc.